Bonjour! I’m back from my Europe adventure and have SO much to share with you guys! This week is going to be filled with travel posts from a Life Chats describing the whole experience to a London Diary & Paris Diary recapping everything. I have so many photos to go through and truthfully need to get all of my thoughts together because this whole solo journey was another life changing one. My emotions have been all over the place since I got back. I’ve been catching up on sleep all weekend as I’ve been exhausted and still a bit jet lagged. My mom is also on vacation right now so I probably won’t have any new content for the blog until next week. Hope you enjoy this “travel week” though! 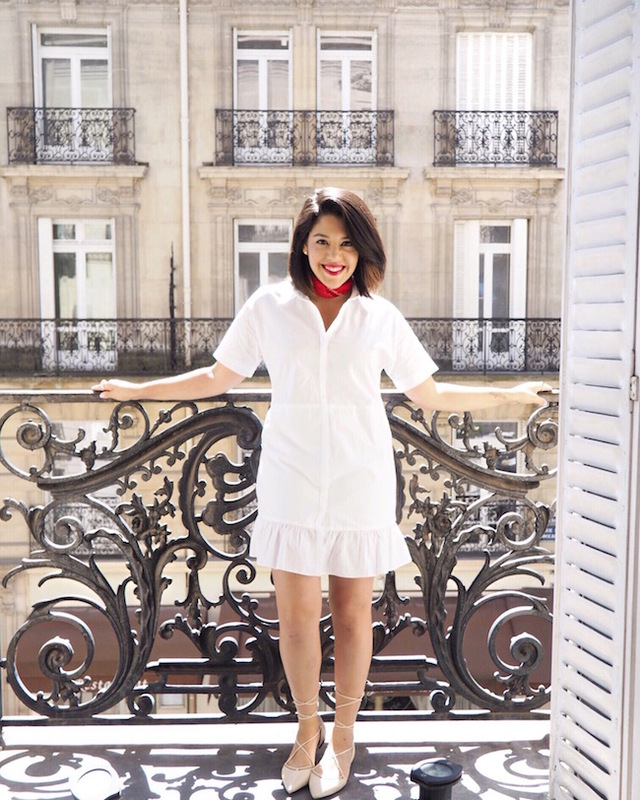 I decided to kick things off with my stay at Hotel de la Trémoille, a boutique hotel in Paris! I mentioned a few weeks back that I was going to be partnering with them. I found them on TripAdvisor and have to admit the first thing that made me fall in love were their balconies! 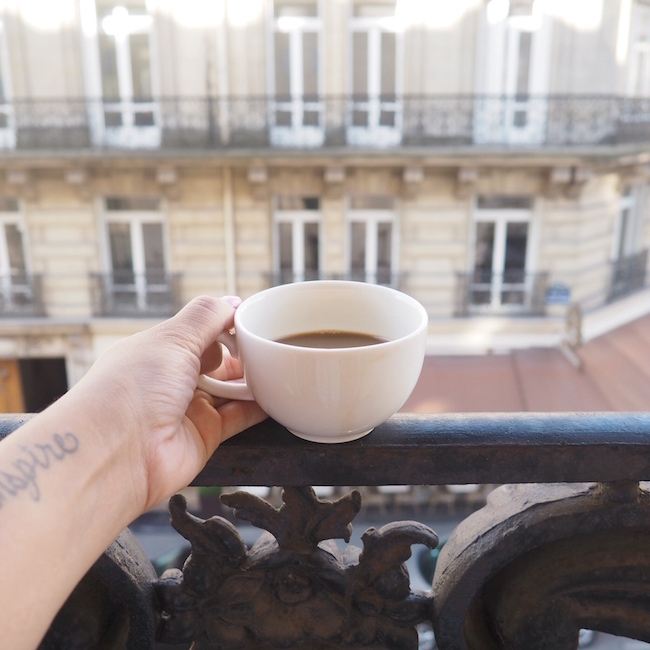 I always dreamed of staying at a hotel in Paris that had a balcony. The views from my room overlooking the street were so dreamy. 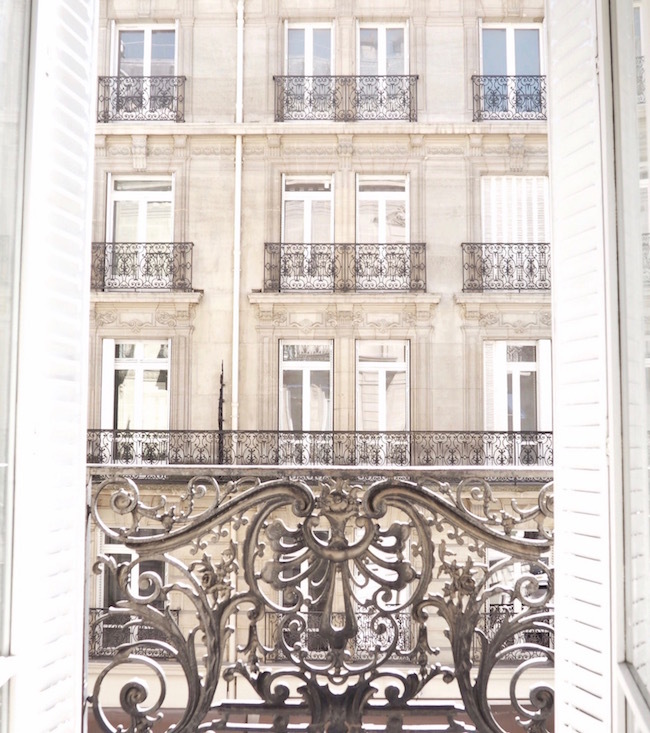 I seriously couldn’t stop staring at all of the Parisian windows and architecture. It was everything I hoped that it would be. 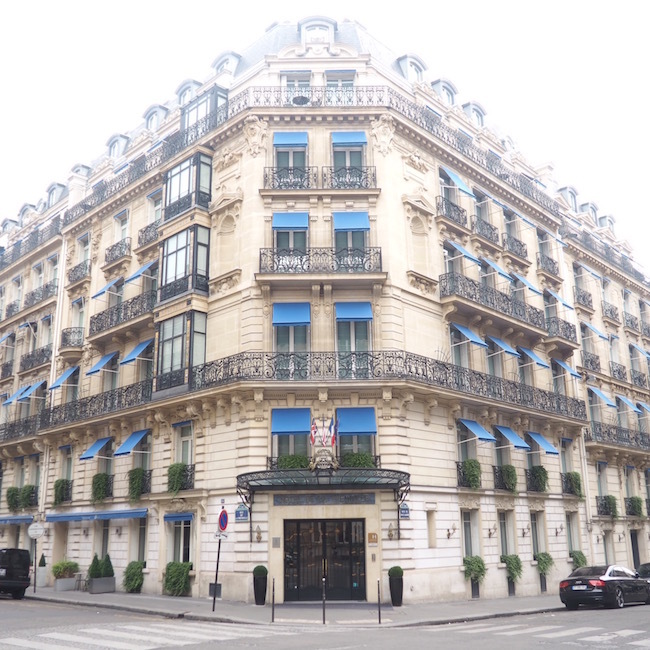 The hotel is located in the 8th arrondissement. It’s a short walk to the popular shopping street, Champs Elysees, and was surrounded by so many different restaurants, cafés and stores. Champs Elysees has the Arc de Triomphe on one end and the big ferris wheel on the other. I loved seeing both of these every day. There were so many street performers too, which I enjoyed so much. 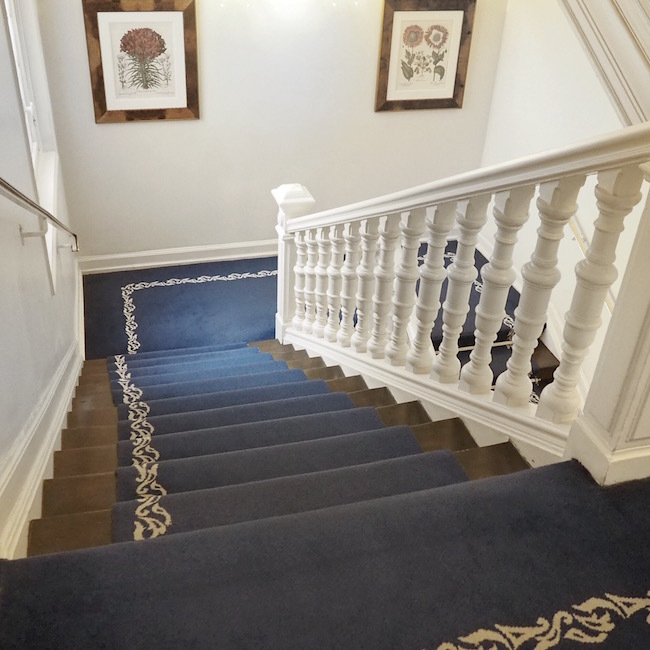 The hotel is also a 15 minute walk to the Eiffel Tower and is located near several metro stations. I was so proud of myself for learning to get around Paris this way! I love that La Trémoille is on a quiet street so it’s far enough from the hustle and bustle of Paris, but still a short distance away. My stay included breakfast, which I think is great when traveling. I honestly didn’t get hungry until later in the afternoon so I ended up saving some money by not eating out every morning. 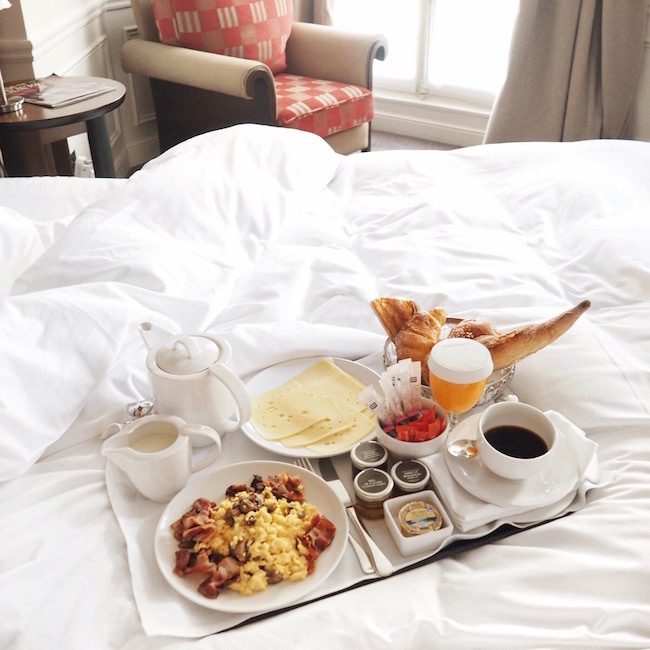 I loved starting each day with breakfast in bed too. I was seriously spoiled for those 4 days and ate more baguette and cheese than I can count! It was so yummy. The bed was so comfortable and the room was huge, especially compared to my tiny one in London. I had plenty of space to store my things, move around and spend time in the room when I wanted to. The most amazing morning light shined through the room every morning. That’s not something I always get back home. I wasn’t able to get a good shot of the bathroom, but it was spacious and clean with pretty decor. I had all of the amenities that I needed including free Wi-Fi, which is so important to me when traveling. One of the days my iron didn’t work so housekeeping came in to help. They ended up taking my skirt to press it for me, which was so nice! Also I have to say that after traveling in Europe a few times, I never have good luck with the hairdryers. Theirs was probably one of the most powerful ones I’ve used in Europe, so I was happy to not have to shut it off every 5 minutes. I have a lot of hair! 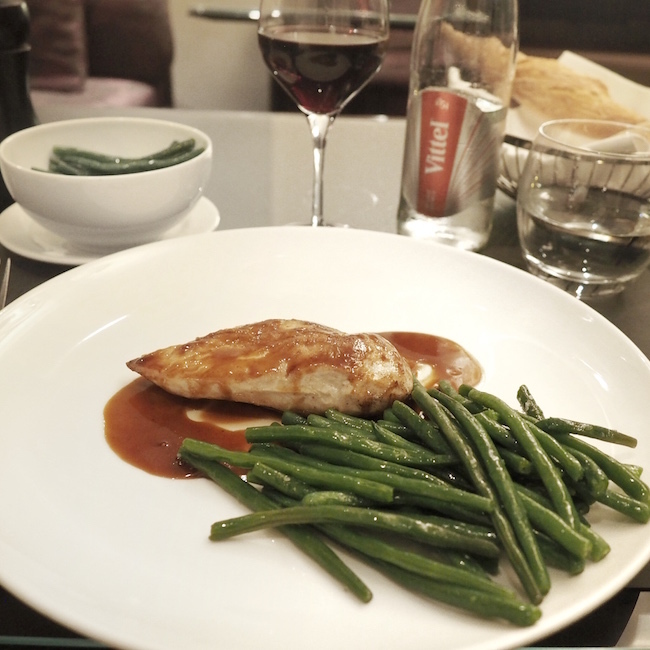 I ate dinner once at the hotel restaurant, Le Louis2. It was delicious! There weren’t many people in there when I was eating so it was a nice and quiet dinner, which I really enjoyed. I had been out all day doing the tourist thing and just wanted to have a relaxing dinner. The hotel also has a spa and it includes a fitness room, sauna and jet shower. I didn’t personally get the chance to check it out though. I have to say that I prefer boutique hotels over chain hotels when I travel. 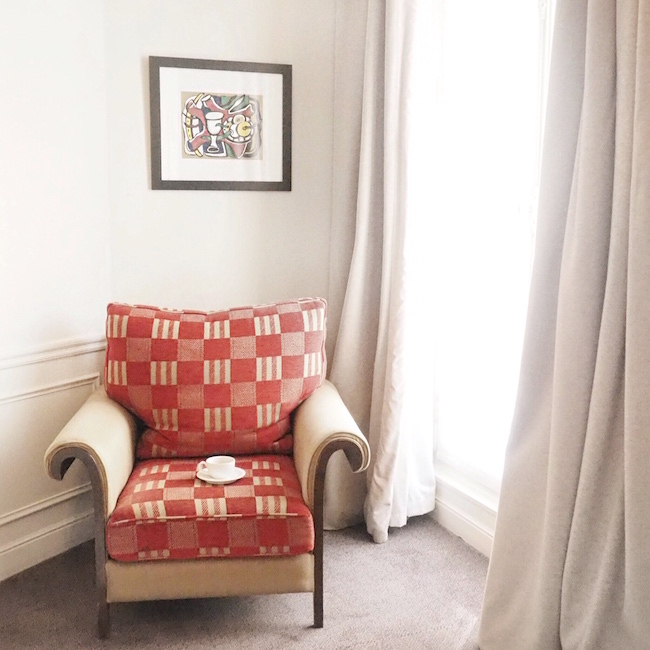 I just think that I get a better feel for the place I am in and boutique hotels always feel more cozy. The staff at La Trémoille was so helpful whenever I had a question or needed recommendations during my stay. The concierge helped a lot when it came to me taking the metro. They provided me with maps, which I actually used several times. Everyone was honestly so sweet! 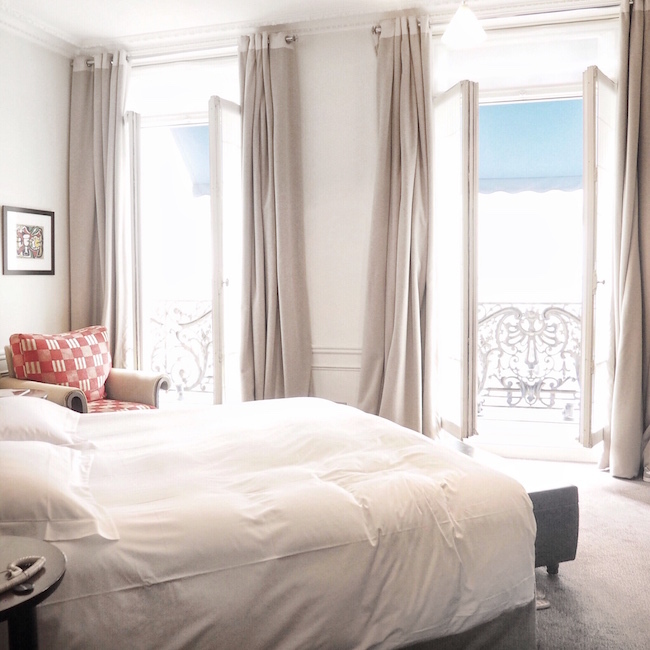 Disclosure: I partnered with Hotel La Trémoille during my stay and in exchange received a media rate. All opinions expressed are my own. So cute. 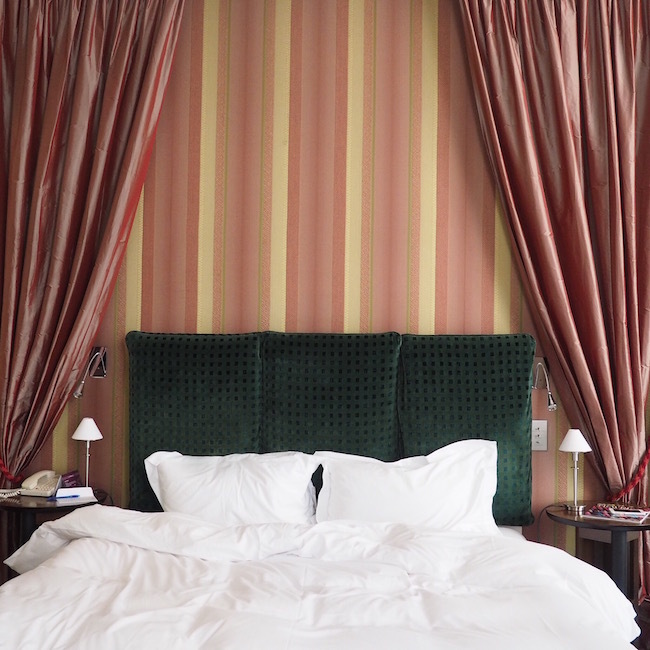 I stayed at a cute hotel in Paris like that. Paris is so lovely. I also found the people super sweet. When you can handle Miami, the French are very calm and considerate lol. © Naty Michele 2016 Designed by V&Co. Sign up to receive a personal newsletter from Naty straight to your inbox each week. You’ll get access to exclusive content, special announcements, behind the scenes and other surprises!